The Nintendo Gameboy: Still The Best? When it arrived, the GameBoy was the ultimate card in the game of playground rivalry (until, that is, the teachers could confiscate them). LCD games were nothing new to the kids of the 80s, of course, thanks in no small part to Nintendo’s other contributions, like the Game’n’Watch, but the GameBoy was different. It had a real pixel-matrix screen so it could handle more than one game, purchased, of course, on swappable cartridges. The design is iconic; 30 years after it’s birth it’s still often to be seen in phone-case form! The design is iconic; even post-millennials who never experienced a GameBoy in the, er, plastic will have encountered the design on countless products and in hundreds of knowing cultural references. 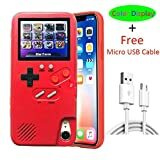 Not only are there T-Shirts but, perhaps more in keeping with the go-anywhere nature of the GameBoy, phone cases – some which even include LCD games screens of their own. Like all consoles of its age, games were bought on cartridges. There was no such thing as online gaming or online play, of course. If you wanted to play against your friend (possible on Tetris, believe it or not) you needed the Game Boy Link cable – indeed knock-off versions of this can still be found (No products found. for example). Beneath the link socket is a beautifully solid-feeling volume wheel – no digital tapping of buttons here (on the opposite side is an identical contrast wheel which you’ll find yourself using nearly as much as the gameplay buttons themselves as you constantly strive to pick up just that little bit more sharpness. Given that the technology of the screen was a passive matrix LCD not dissimilar from those found in calculators, this was something of an issue. Fast movement on screen would result in some blur, which is perhaps why the game most associated with the machine is not Super Mario Brothers (brilliant though this was), but Tetris. 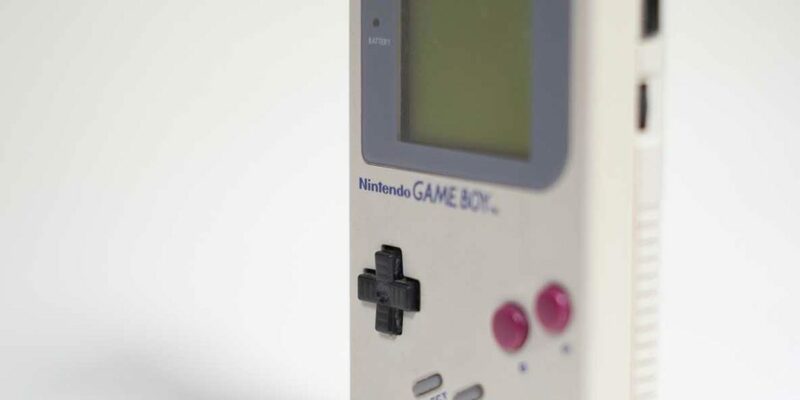 The screen was a rational choice given the technology, cost and battery life implications Nintendo faced, but such was the life of the GameBoy product line that later revisions addressed the issue. In 1996 a GameBoy Pocket came along with a smaller form factor running from just two AA cells. In 1998 a similarly shaped (but not identical) GameBoy Light emerged in Japan with a back-lit screen. This came the same year as the GameBoy Color (it was even spelt ‘color’ in the UK and other markets in which color is correctly spelt colour. All three machines still took the same cartridges (Color users could pick the tones the black-and-white games were represented in, and new games were in color, but there was still no backlight). The screen is also set back slightly, and although it is monochrome, it is able to display 4 shades between “black” and “white” (or, more accurately, dark grey and medium greeny-yellow). 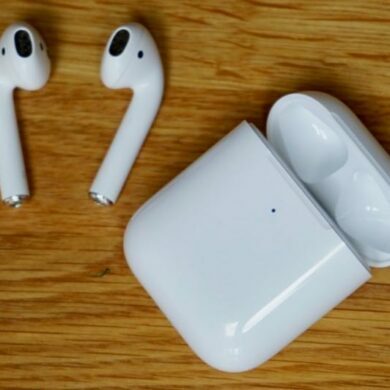 The component itself is a little way behind the protective external window, and sadly dust is able to creep its way inside the casing as it has in my device. Because the dust catches the real light, it can stand out, but mentally it’s easier to ignore than a dead pixel on a backlit colour screen like a modern laptop. What if you want to experience the fun of GameBoy Gaming again? Honestly one of the best things to do is to hope you can get hold of one of the original machines. 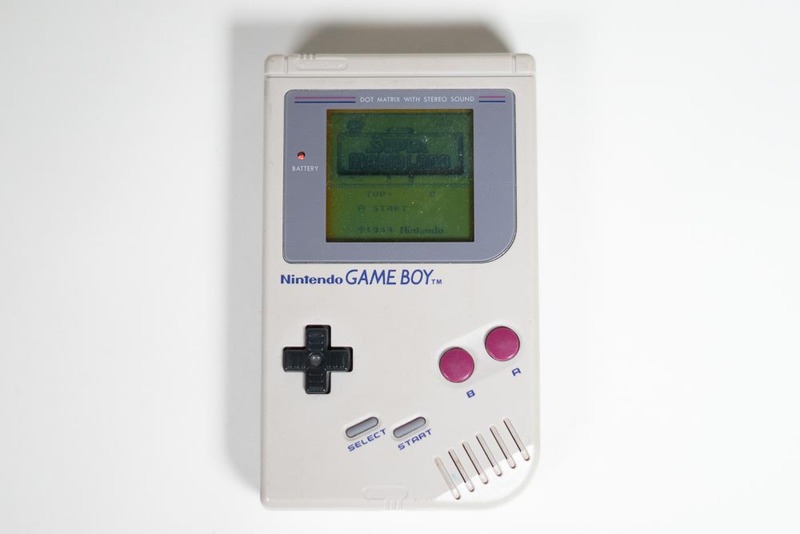 Enough were made – Rechargeable devices were not well known before Lithium-filled phones took over the world, so you’ll have to cope with AA-batteries, but the battery life of the original GameBoy was a very decent 30 hours. By contrast the October 1990 Game Gear, from Nintendo’s then-arch-enemy Sega, burned through 6 AA cells in a little over 3 hours. The Sony Walkman of all of video game history.